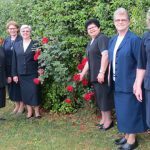 It has been a real joy and blessing having with us our dear Sister Ethel Maria from Coesfeld, Germany. 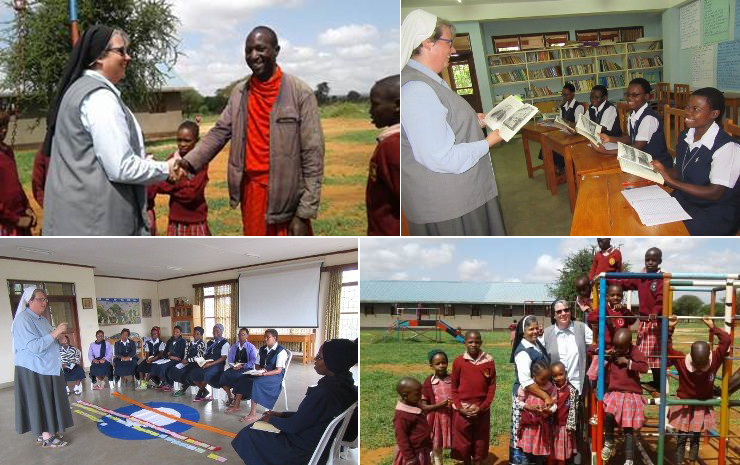 After spending three months in Uganda with our formees, Sister came to the International Novitiate House in Tanzania to be with the novices. Sister gave classes on Scripture using creative methods and in particular using the RPP (Religious Pedagogical Practice) method. Toward the end of her time the novices shared in a programme what they had learned and how it deepened their understanding of the Our Father. Sister also took classes on the History of the Congregation with the first year novices. What was so enriching for the novices was the fact that Sister had first-hand information about our place of origin and stories about her own life in Germany then and now. Sister discovered the different view of scripture her German students had compared to the view the novices have here in Africa. Sister was so grateful that she was able to study theology in Germany and experience the deeply rooted spirituality in Africa. 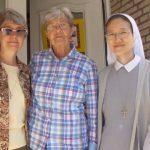 Other opportunities included, visiting some communities, seeing giraffes and lions, meeting sisters from another congregation who are living with us in Vechta and more. In Sister Ethel Maria’s own words: “What I was most looking forward to was visiting Simanjiro again after seven years. Entering the dining room I was almost on the verge of tears remembering that I put in the stones under that foundation with my own hands and seeing now this beautiful room. Seeing the development of the school was also a big joy. I prayed in front of the new grotto of Mother Mary – thanking God for all that this place means to me .” The Sisters without Borders opportunity is truly a gift in our congregation.